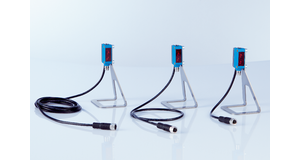 The FlexChain is a flexibly configurable light grid thanks to the sequential connection of several sensors. There is no need for long connection cables or complex wiring. 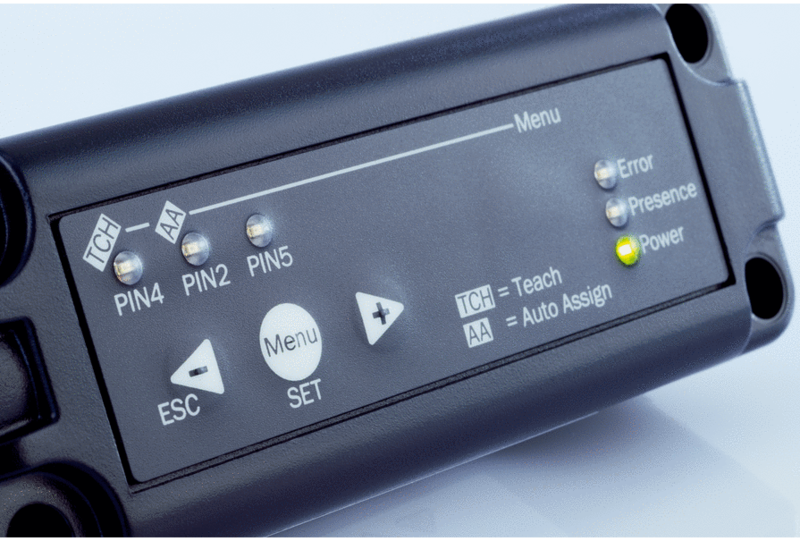 By pressing a button on the FlexChain Host, the sensors can be addressed and taught-in automatically, meaning the system is immediately ready for use. 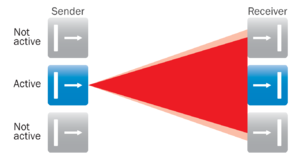 Different sensor technologies can be combined and freely arranged: Through-beam photoelectric sensors, photoelectric sensors. 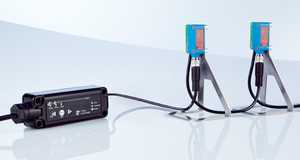 The raw sensor data is evaluated via the FlexChain Host with integrated logic modules or forwarded directly via IO-Link, CANopen, RS-485 or I/O signals. 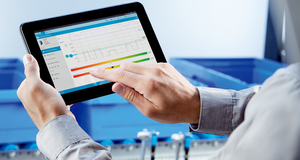 Detailed diagnostic information ensures optimum process stability and measurement certainty during operation. Cascading the individual sensors saves on cabling and makes it easier to integrate them into the existing system. 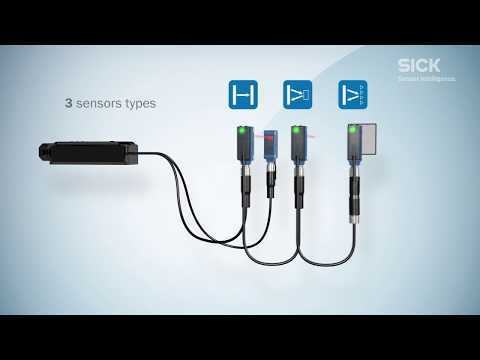 The sensor system is available with different pigtails. Even with complex arrangements, there is therefore no need to spend money on additional connections. 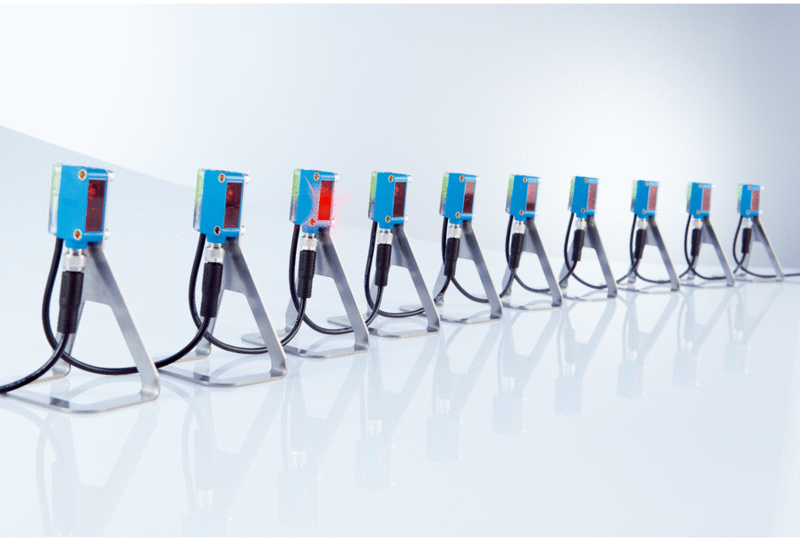 FlexChain is remarkably quick to implement, as the entire system works as one unit without any complex wiring in the control unit. 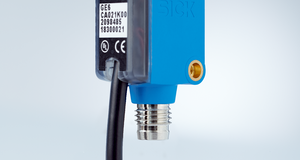 Cost-effective: The sensor comes with an integrated pigtail. There is no need for additional cables. Minimal effort: Cascading makes cabling much easier compared against point-to-point connections. 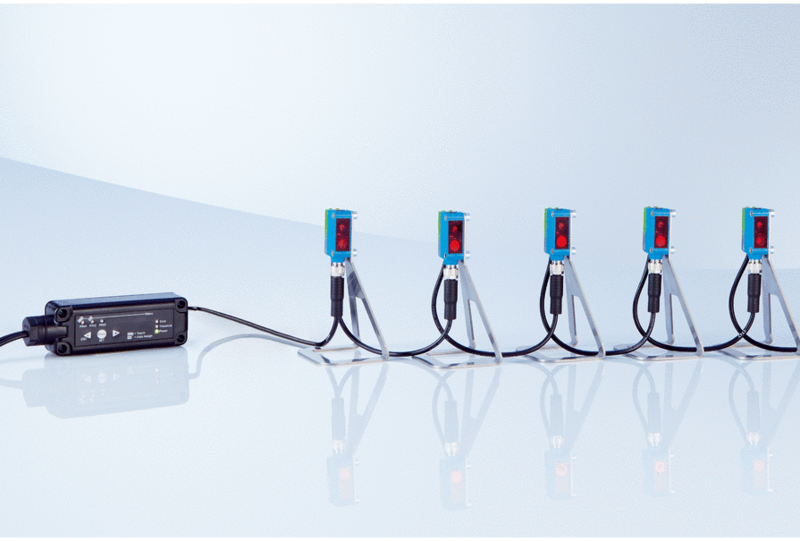 Instant on: The FlexChain host detects all sensors automatically. Data transmission starts at the touch of a button. Installation and implementation of FlexChain is remarkably simple. 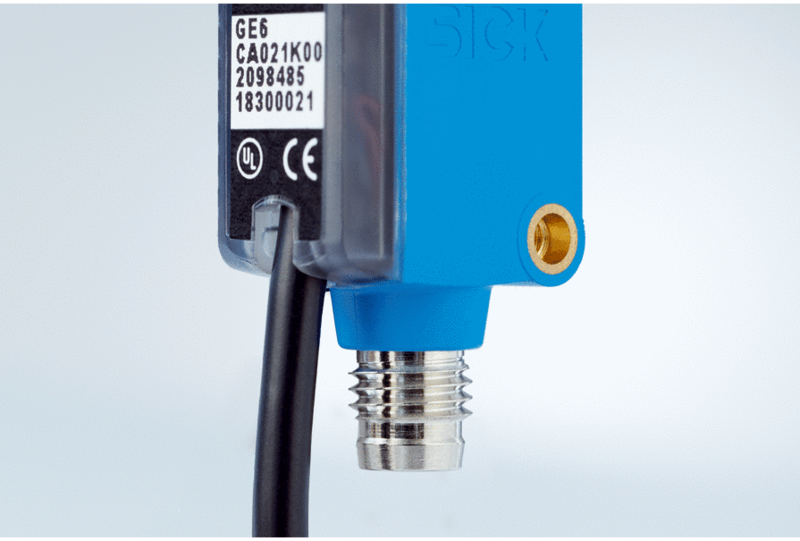 Automatic sensor detection and cascaded cabling also save time and money during system integration. 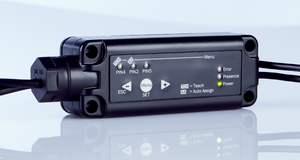 The light grid technology with sequential cycling prevents the signals of the individual sensors from overlapping. There is therefore no chance of obtaining incorrect measurement data. This means that narrow arrangements can be implemented without a rigid light grid, allowing them to be better adapted to the individual conditions of the system. In addition, the sensor technology can be freely selected based on requirements. As a result, FlexChain increases the ruggedness and flexibility of the application. Freely positionable thanks to individual length of cables: Compared to conventional light grids, the beams can be positioned wherever they are needed. 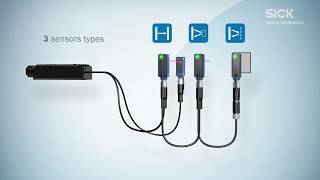 FlexChain, the individual light grid: Whether through-beam photoelectric sensors, photoelectric retro-reflective sensors or photoelectric proximity sensors – the sensor technology can be freely selected and combined. FlexChain can be flexibly adapted to the application on a case-by-case basis. 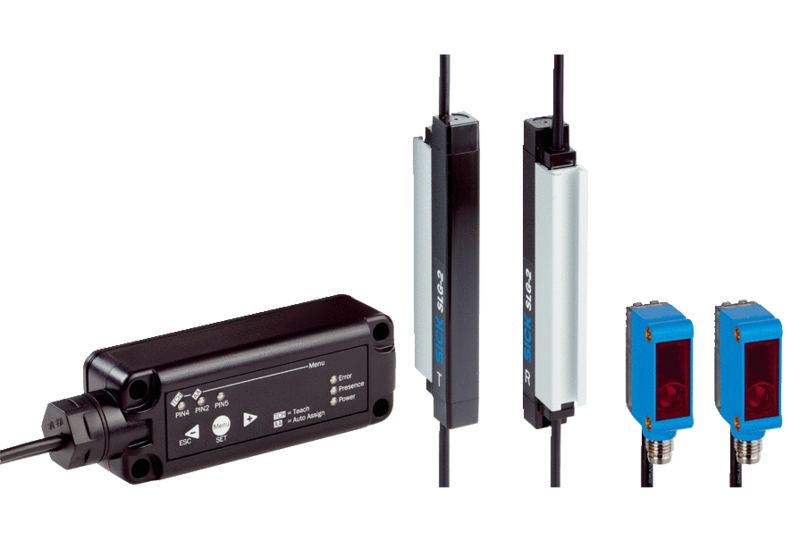 The system delivers reliable results no matter which sensor arrangement or sensor technology is used. FlexChain also offers full flexibility for sensor data. These are either forwarded directly to the controller or evaluated with ease in the system itself. 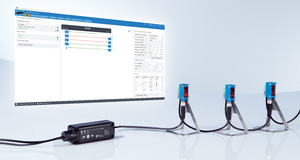 What’s more, FlexChain offers extensive diagnostic options: Parameters such as sensor information, contamination level, and communication status can be viewed at any time. This enables errors, failures and downtimes to be effectively prevented thanks to early recognition of problems. 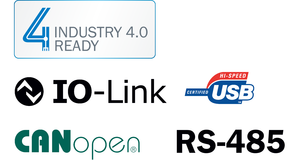 Numerous interfaces: Whether IO-Link, CANopen, RS-485 or configurable switching outputs – integration into virtually any system is possible.